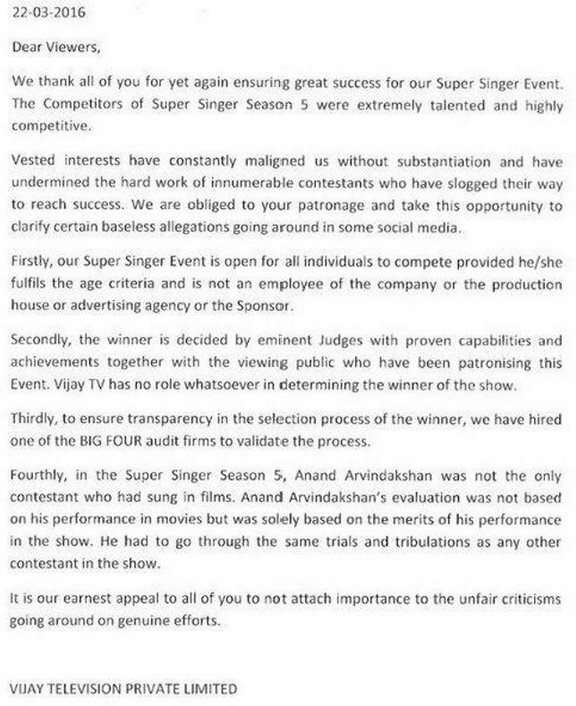 After a major controversy erupted on the choice of the singing reality show Airtel Super Singer 5 winner, Anand Aravindakshan, the channel has come up with a response to the same. The controversy began over the fact that Aravind had already sung a few songs in the Tamil film industry, and that he should not have been allowed to participate in a programme targeted at upcoming singers. A post had gone viral on social networking sites saying that Anand was a playback singer and that he had already sung for 10 songs in different films. The post also claimed that since the show had the rule of not including established singers; Anand's win should not be justified. This post enraged the fans who accused Anand of hiding his real identity and blamed the channel for not verifying the winner's background. Incidentally, Anand was eliminated in one of the earlier episodes until he came back as a wild card entry. 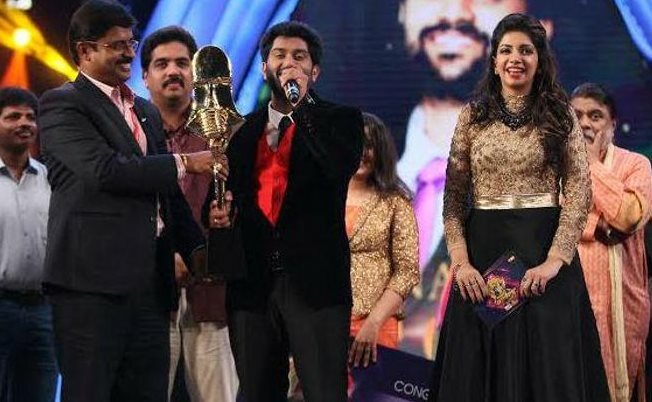 The channel came up with an official statement that said that Super Singer event was open to all talented individuals. They added that the channel had no role in choosing the winner of the event. Pradeep Miroy Peter, Head of Programming at Vijay TV said that the rule about not letting playback singers participate on the show was done away with long ago by the show producers. In the beginning seasons, four to five years back we said no playback singers can be part of the show. When we do auditions, there are hundreds of people who do tracks for directors or religious albums so technically we could not qualify everyone so we removed those rules. In Super Singer senior, about two seasons ago before this rule was removed. Those rules are not at all applicable now,” he said. Peter also said that the audience knew from the beginning that Anand has done playback singing as he himself had said it on air.